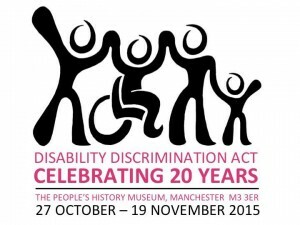 is a law that aims to protect disabled people and promote equality of access to services, employment and education. It says that disabled people must be treated fairly and not be discriminated against at work, when they go to school, college or university and that public places such as library, hospitals and shops, should make it easier for disabled people to use them. In 2010 it was replaced by the Equality Act, except in Northern Ireland where the Disability Discrimination Act still applies. The law is about treating disabled people fairly. Sometimes in order to do this and to give everyone the same opportunity you have to do things differently. The law placed a responsibility on employers and service providers to make changes to support disabled people to do their job or use their services these changes are called “reasonable adjustments” and they help disabled people to access work, shops, transport and education. Reasonable adjustments could include building a ramp so that wheelchair users can get into the building, providing information in larger print so that people with sight impairments can read it or allowing someone to work ﬂexible hours so that they can work around their pain or mental health. Artists from Venture Arts have created textile shops. These shops show the types of places that disabled people should be able to access under the Disability Discrimination Act.